The College District should see $75,000 energy cost savings per year, thanks to becoming an energy "island" producing and consuming its own energy using on-site systems. Las Positas College in Livermore, Imergy Power Systems, a leader in advanced energy storage systems, and Growing Energy Labs Inc. (Geli), a designer of energy storage and microgrid management solutions, today announced that they will participate in a microgrid project funded by a $1.5 million grant from the California Energy Commission to enable the Chabot-Las Positas Community College District to integrate renewable energy sources into its operations, curb peak power and achieve greater energy independence. 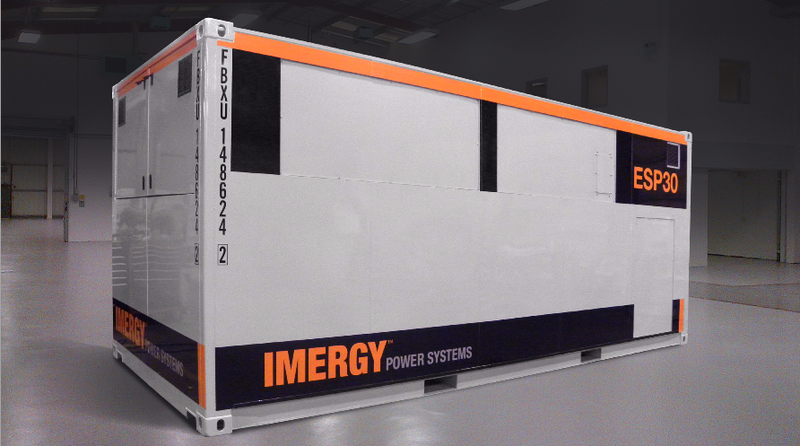 The District will install Imergy Power Systems&apos; ESP30 series institutional scale vanadium redox flow batteries with a total capacity of 250 kilowatt/1 megawatt-hour as part of the microgrid, which will be managed by the Geli&apos;s Energy Operating System and Energy Management applications. The energy storage system, to be installed at Las Positas College in Livermore, will enhance an existing 2.35MW solar array that generates 55% of the energy needed at the campus, 3,200 ton-hours of ice thermal storage, and ten Level II EV charging stations to form a smart microgrid, capturing approximately $75,000 in annual energy savings for the District. Part of the Commission&apos;s $26.5 million Electric Program Investment Charge (EPIC) program to develop a roadmap for energy smart communities, the project is designed to demonstrate how microgrids can help colleges and universities gain greater control over their energy consumption and costs while maintaining security and safety. Imergy&apos;s technology will be used to reduce peak power, balance energy loads, and "island" individual applications for greater reliability and resiliency, among other applications. Las Positas College consists of 435,000 square feet of facilities and includes a 15,000 square foot maintenance and operations complex designated as an emergency response facility by the Alameda County Emergency Preparedness Agency. The project participants will also collaborate with PG&E and Olivine on leveraging the microgrid to demand response programs. A Microgrid Blueprint based on the experiences and results will be published to provide educational institutions data to evaluate, plan and implement microgrids combining energy management systems and energy storage. Worldwide spending on technologies to enable microgrids is expected to grow to total more than $155 billion by 2023, according to Navigant Research. "Microgrids will become one of the primary ways consumers and businesses around the world get their electricity in the future," said Bill Watkins, CEO of Imergy Power Systems. "Solar, software and storage are making distributed energy possible in the same way that semiconductors, software applications and digital storage paved the way for distributed computing. With the right storage technology and software the management of microgrids is seamless, safe, and very easy for the customer to manage. Projects like this are setting a template for our industry." "We&apos;re very proud to be working on this project," said Ryan Wartena, CEO Geli. "Microgrids have been discussed for years, but we now have the technology to bring them into the mainstream. One of the more important aspects of this project will be to show how a microgrid isn&apos;t a single application but a suite of applications coordinated by multiple assets, including storage plus thermal controls that improve quality of service while lowering consumption." Energy is a significant cost for educational institutions and historically it has been one of the most difficult to measure and control," said Dr. Barry Russell, President of Las Positas College. "This project will allow us to develop a Microgrid Blueprint model that can be used by other colleges to implement microgrid best practices, improve microgrid development, deployment and operation." Imergy produces its high-performance flow batteries using recycled vanadium from environmental waste, which is helping the company deliver the best performance and price points in the industry. Imergy delivers the lowest Levelized Cost of Stored Energy (LCOSE) of any competitor in the market. The company is currently working on the Smart Microgrid project commissioned by the U.S. Navy as well as commercial and utility-scale storage projects in Europe, India, Africa, Hawaii and North America.